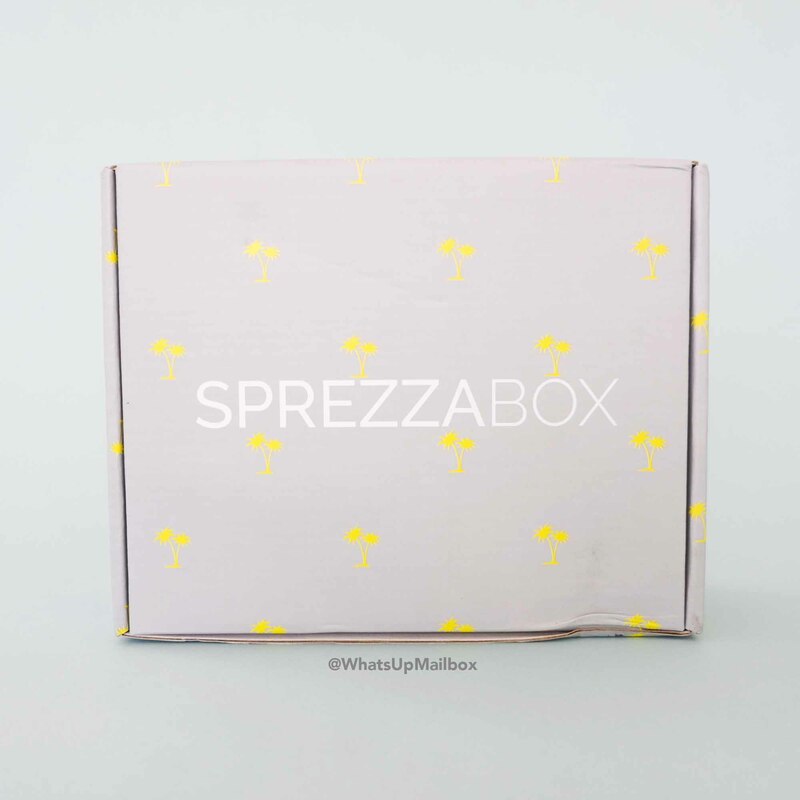 Sprezza Box March 2017 Review + Coupon! First look at unboxing shows their packaging with the info card on top. 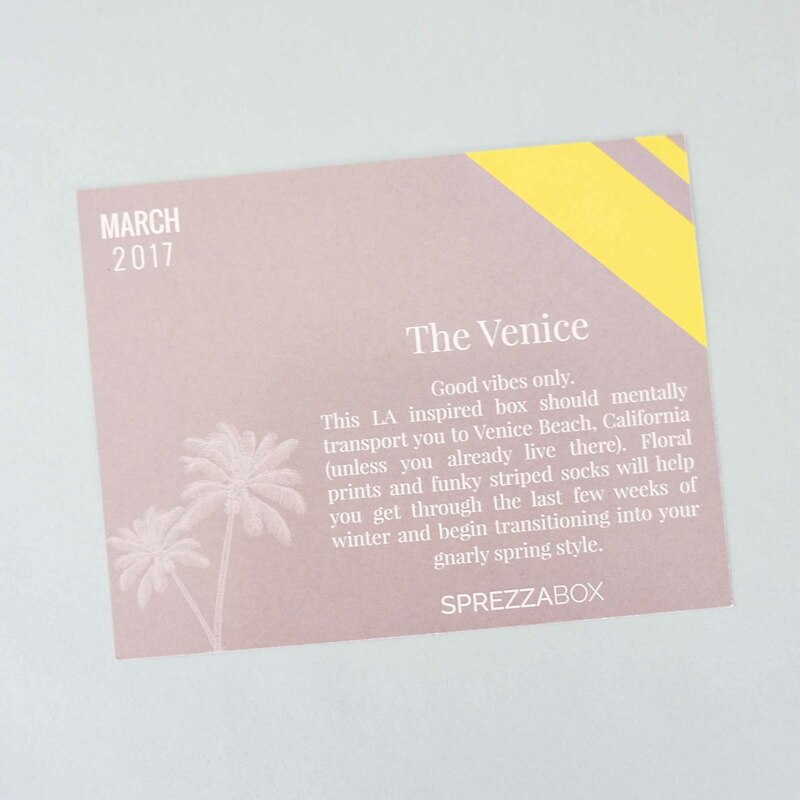 This month’s box title is “The Venice” and the theme was inspired by LA’s Venice beach with it’s colorful and vibrant atmosphere which matches perfectly as we transition to spring. 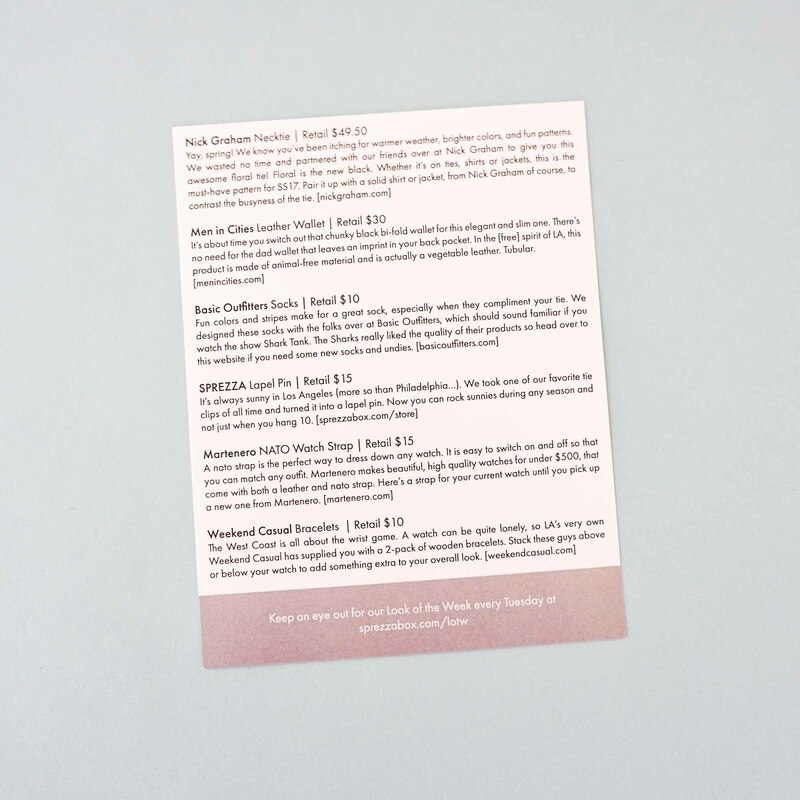 The back of the info card lists all the items in the box as well as their values. 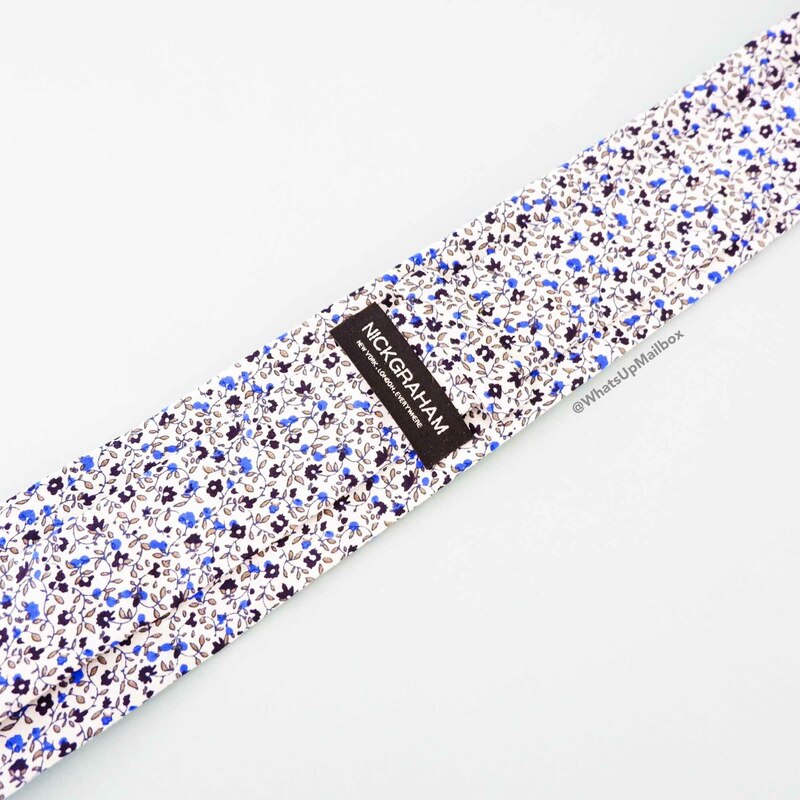 A necktie with floral design definitely screams spring to me! Florals certainly has gained its trend in mens fashion these days, especially here in California, so this was a great match to the theme. I like that although the floral pattern is vibrant, the colors are more muted and conservative. 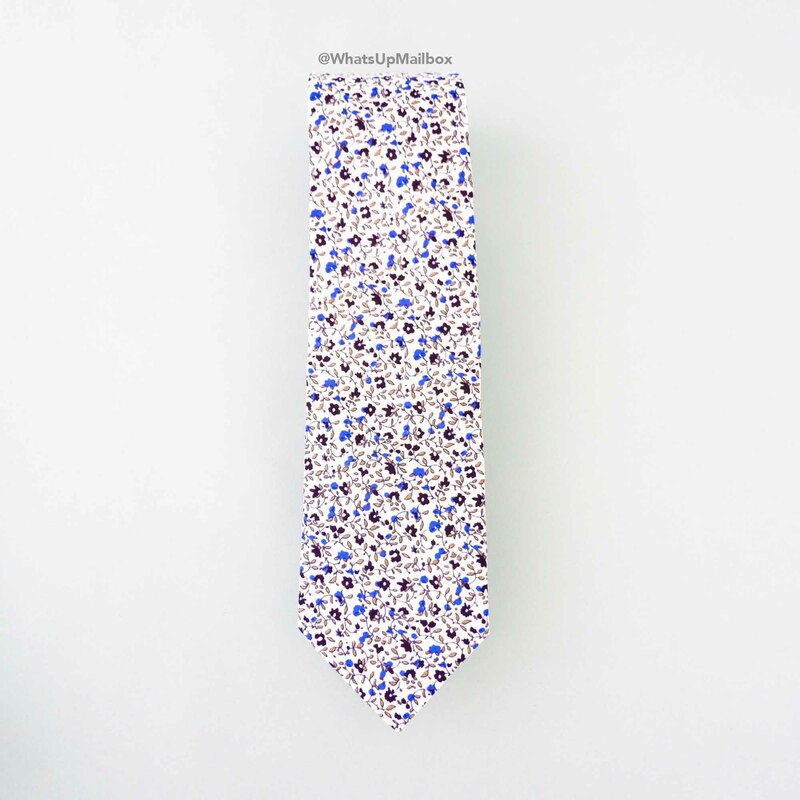 This tie is a good intro for those who are not comfortable yet in wearing the floral trend, and perfect to wear for your summer suit or dressed down with your shirt and jeans. 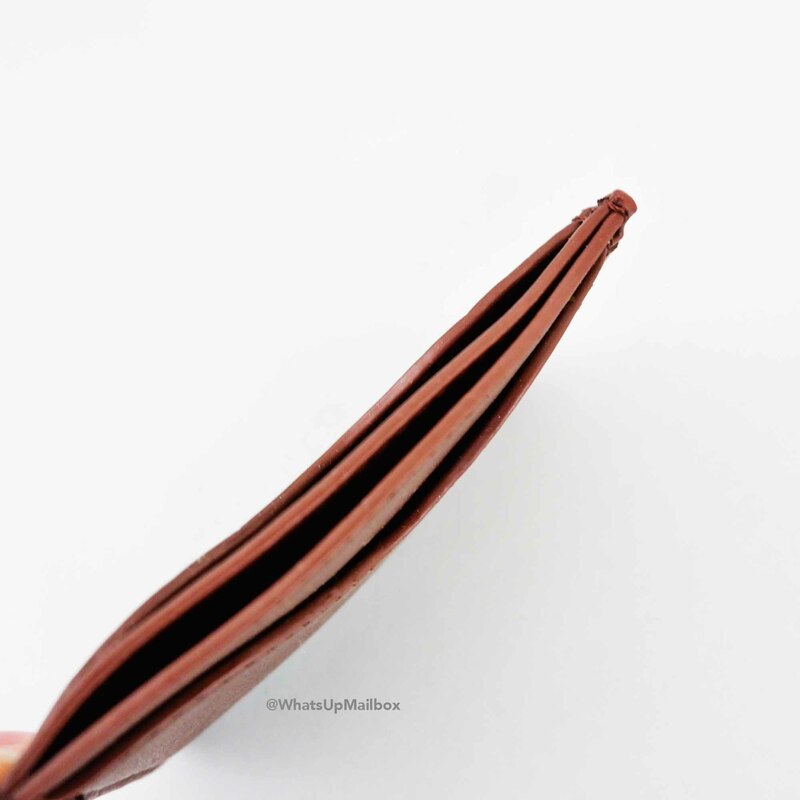 A leather wallet, yes! And it’s compact in size too! 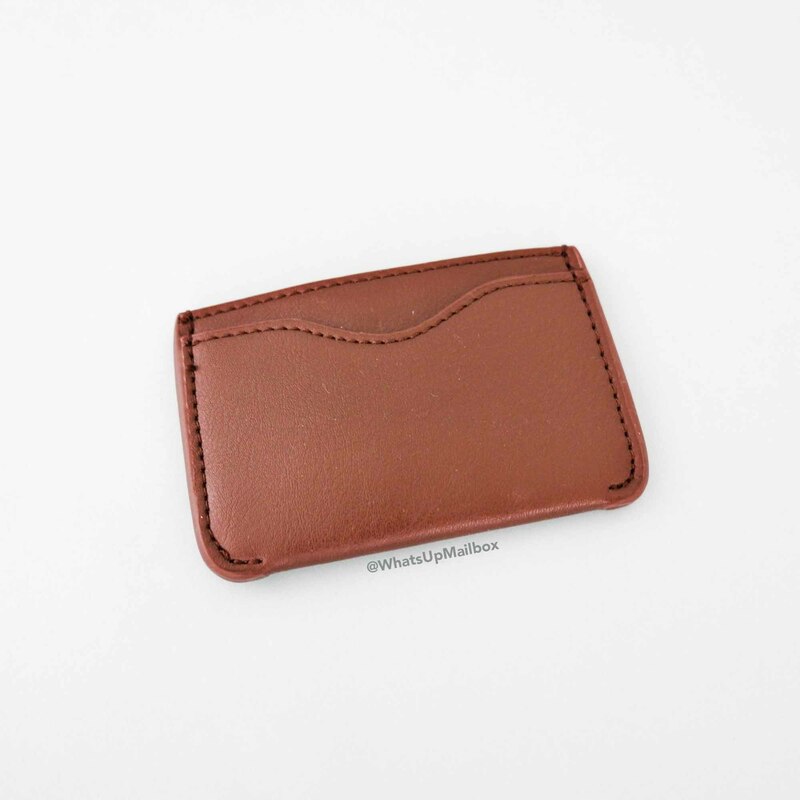 It’s perfect for men who don’t really like to carry around a bulky wallet, and yet still upscale with its leather finishing. This wallet has 3 credit card slots with the middle one being larger in size so it can fit multiple cards. It’s simple yet functional. There’s also no branding visible on the wallet, perfect for my husband who’s more minimalistic in his style. These socks are bright as the sun! 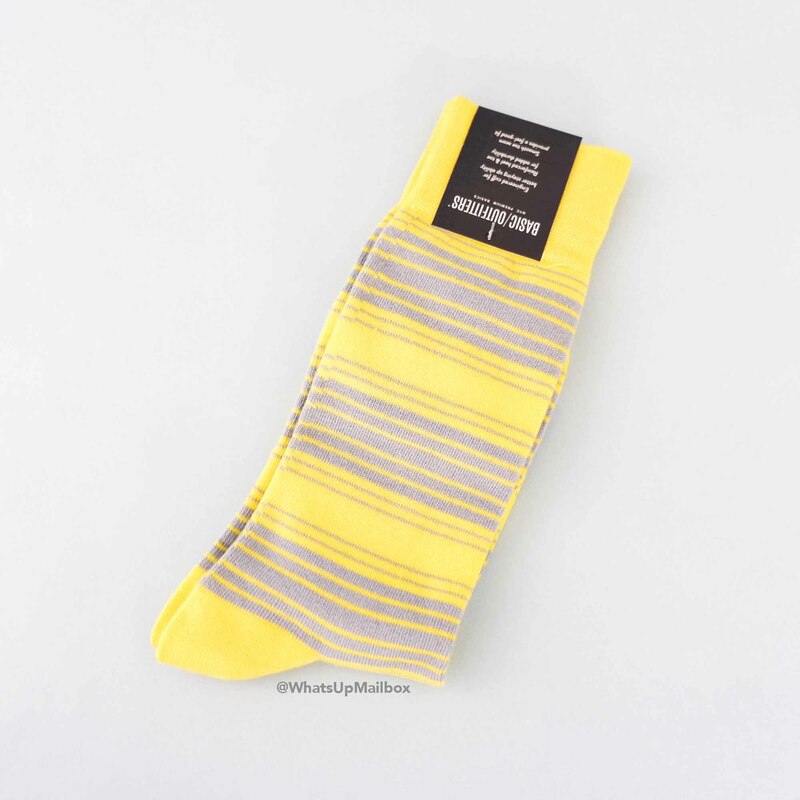 The yellow and grey colors are fun and vibrant, perfect to wear for spring and summer. 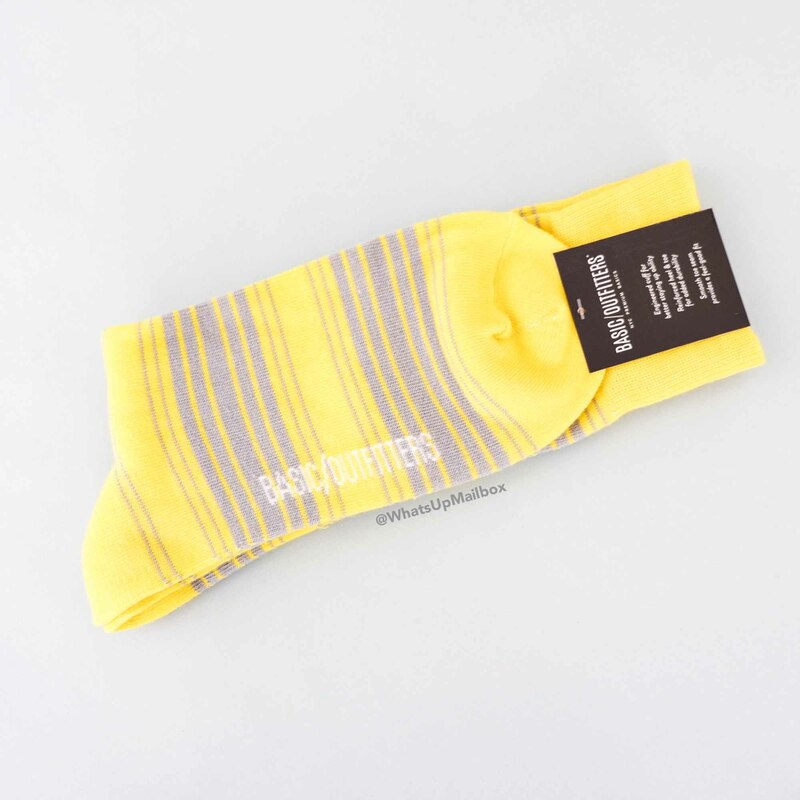 The branding can be seen at the sole area of these socks. And fun fact, this company was featured in Shark Tank! They also included a coupon for you to try out their items. 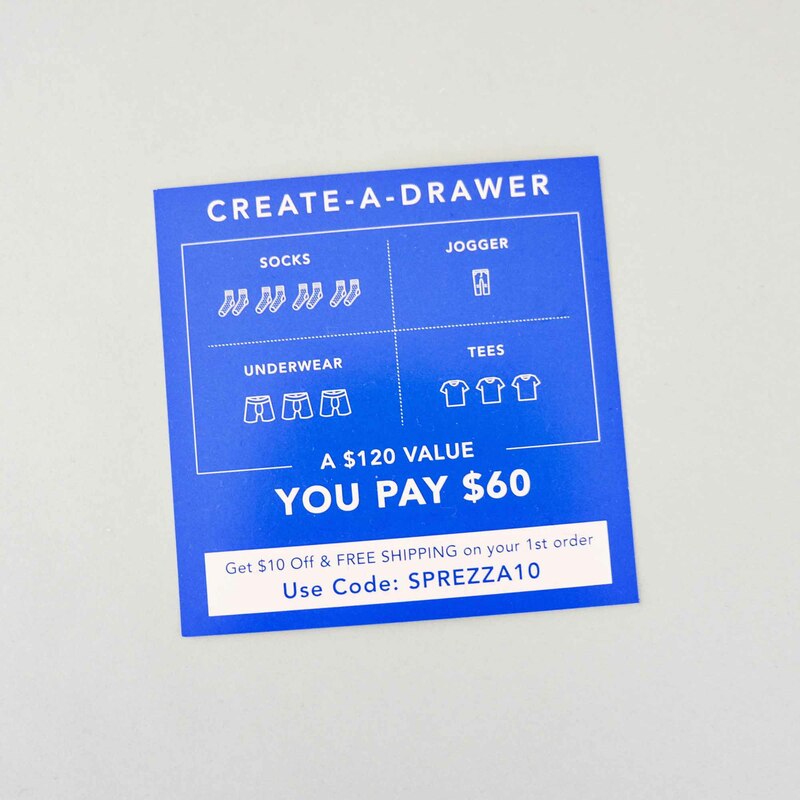 They have this service called “Create-a-Drawer” where they’ll refill your drawer with your basic items; socks, underwear, tees and joggers, for only $60 (a $120 value). 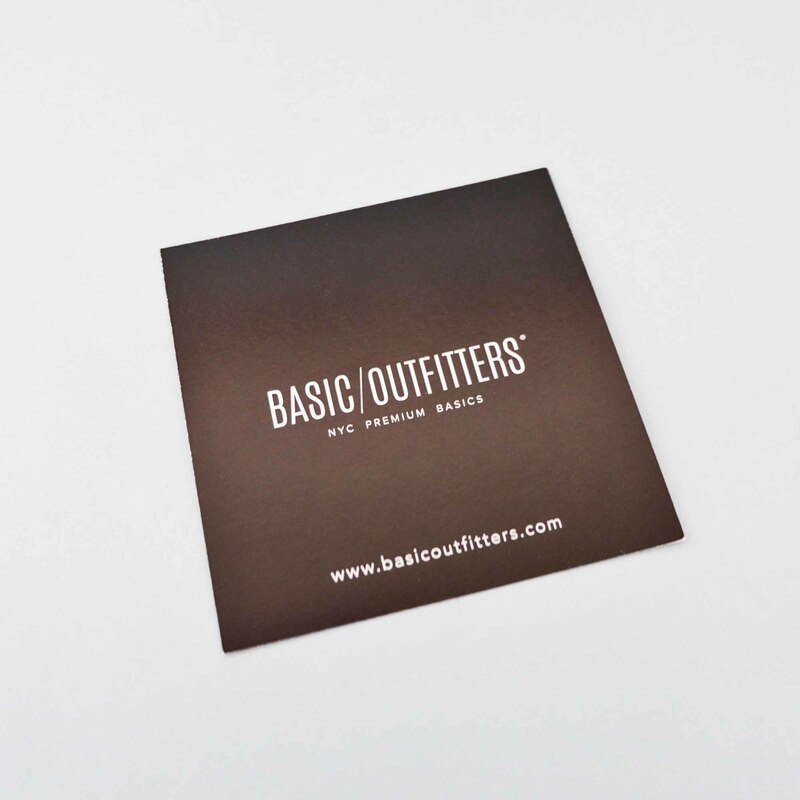 Shipping is also free and with this coupon, the cost drops down to $50! My husband may need to try this out! 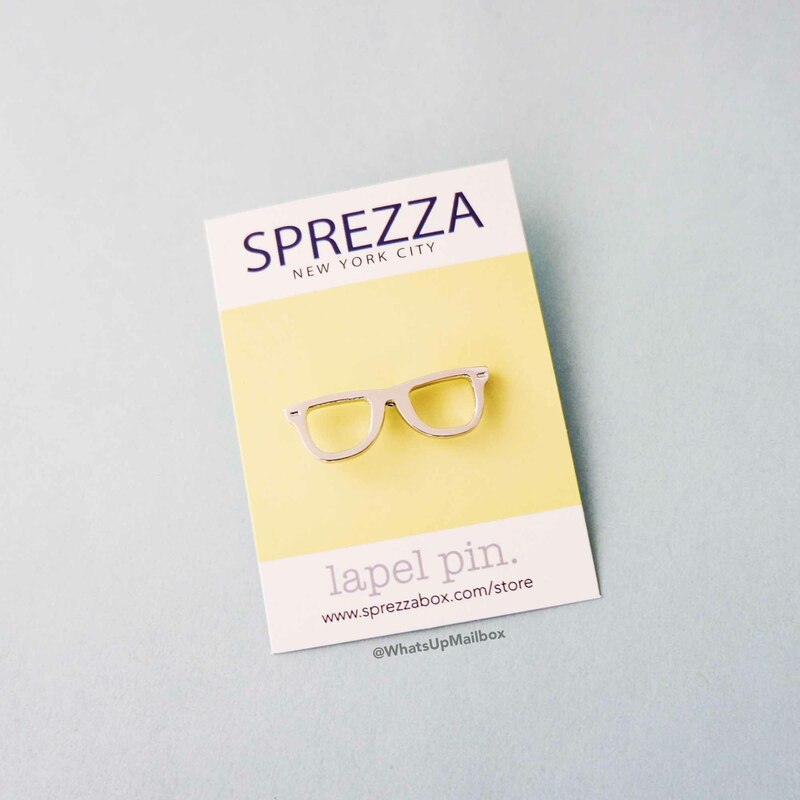 What a fun lapel pin! And very fitting for my husband who does wear glasses. They’re actually supposed to be sunglasses to match the beach theme, but I see them as eyeglasses =) Either way, they’re still fun! When I first saw this in the box, I kept searching for the watch that came with it. Then I read the info card and to my disappointment found out that it’s just a watch strap. 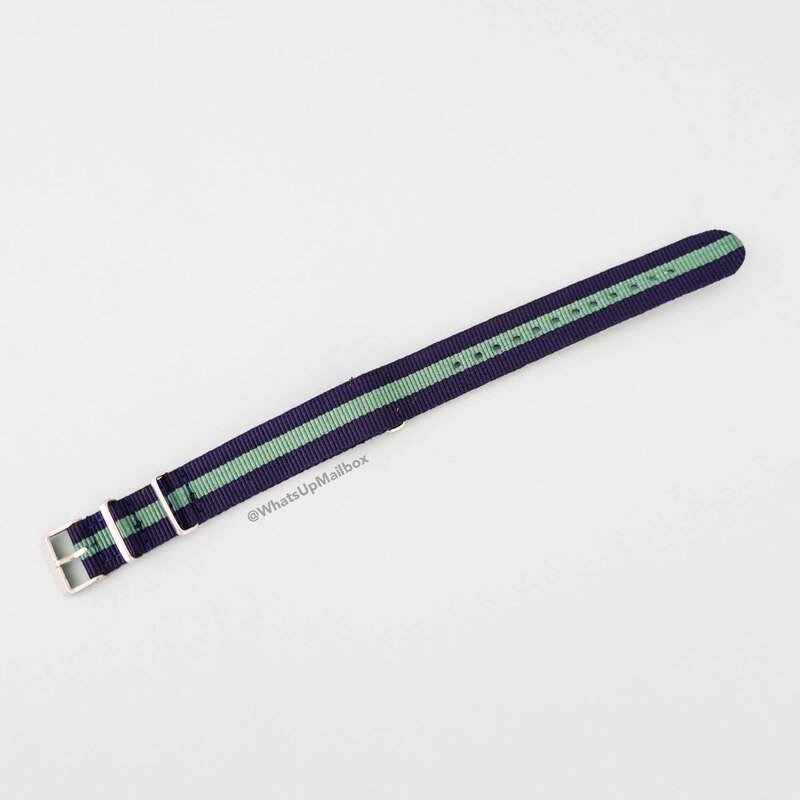 Thankfully my husband has a watch where the straps are interchangeable and this strap fits it perfectly, but I’m not sure other subscribers have the same type of watch as they’re not too common. Not sure if this was a great item to include, and if so, I think it would have been better to include the watch as well. But that’s just my opinion. 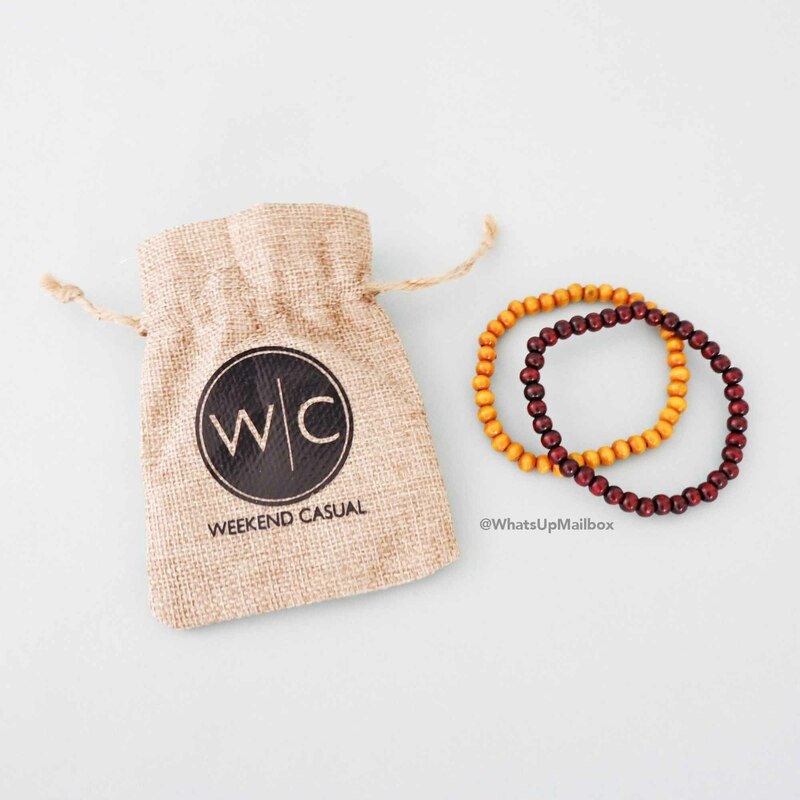 My husband loves these type of bracelets! They’re so fun to layer and lightweight too. Great to wear by themselves, or layer them with your watch. Either way, you’ll be on your way to looking cool. 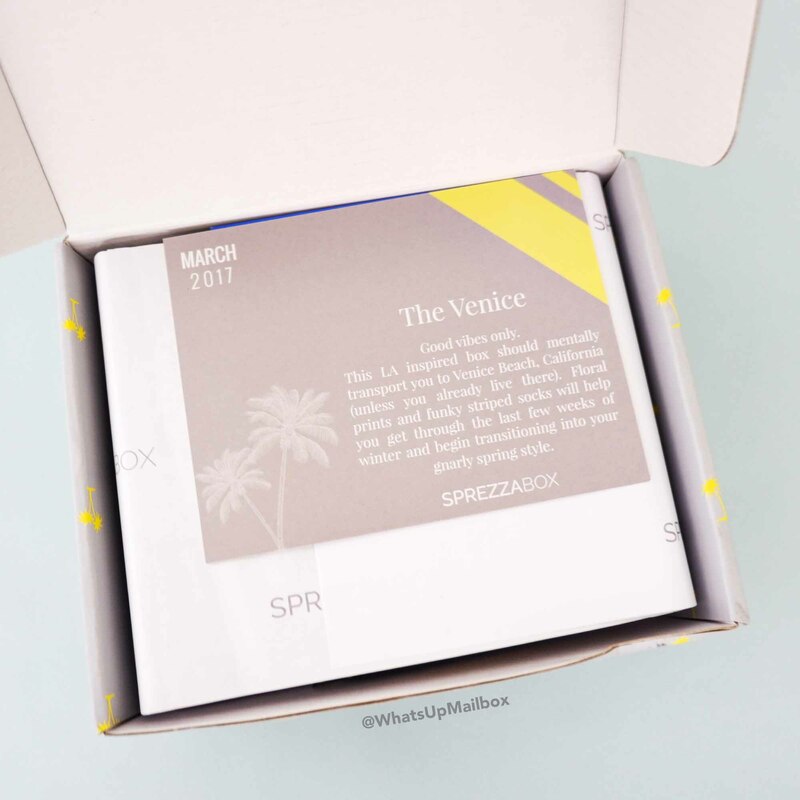 My Thoughts: Being from California, I was happy and excited to see a box themed after one of our famous beaches, Venice beach. I absolutely adored the design of the box itself with all the palm trees, it’s so Cali! 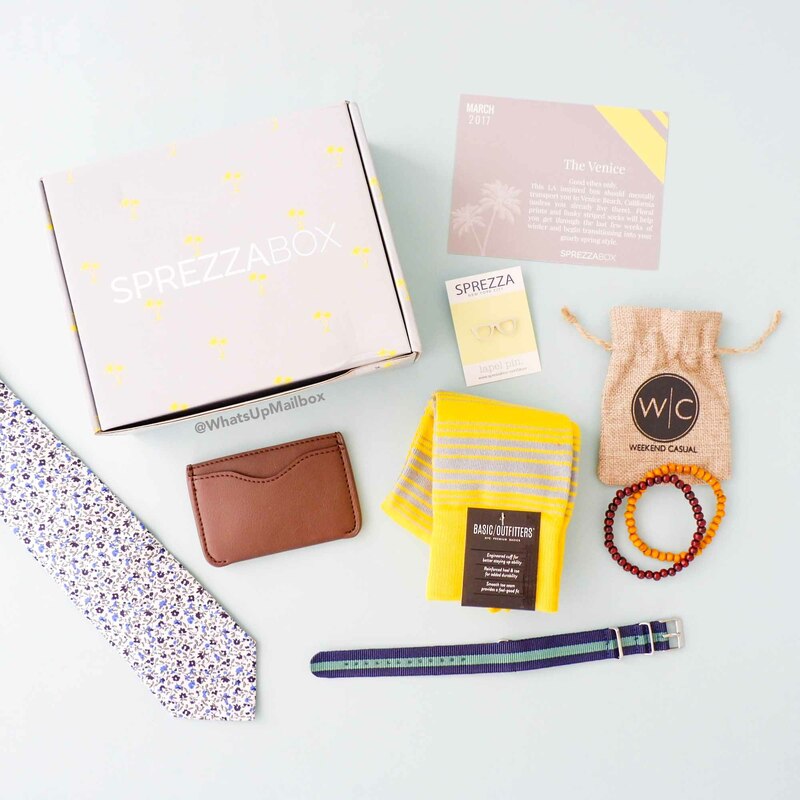 The items were a great mix of useful accessories in vibrant colors, and my husband will definitely use all of them with pride. The watch strap was definitely one item that seemed out of place, but thankfully my husband will be able to use it with his watch and hopefully other subscribers too. Here’s to hoping more boxes themed out of Cali or other states besides NY, or maybe even a Coachella theme since festival season is coming up? Crossing fingers.